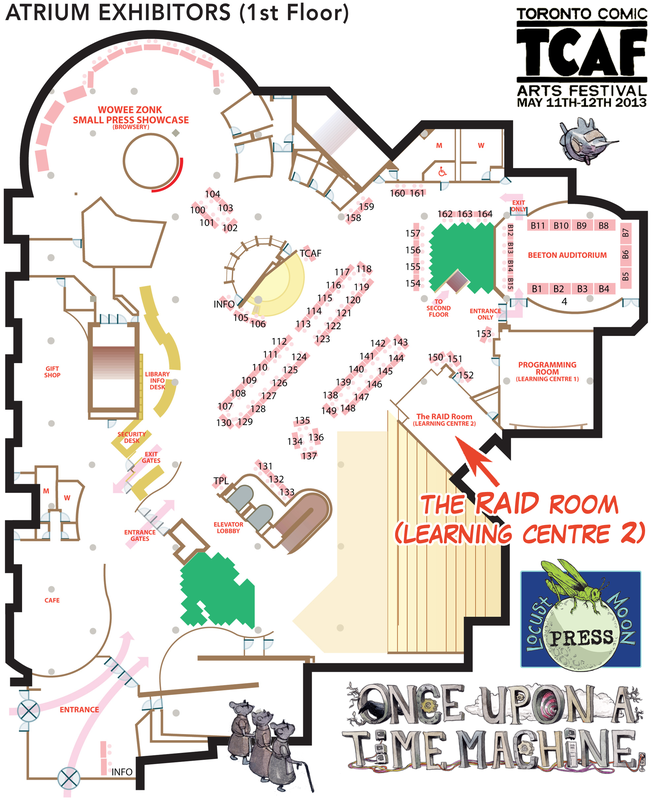 Southward to Charlotte – HeroesCon Ahoy! This weekend, June 7-9, in Charlotte, North Carolina (@ The Charlotte Convention Center, 501 S. College St.), the huge and seemingly universally beloved Heroes Convention is going down. 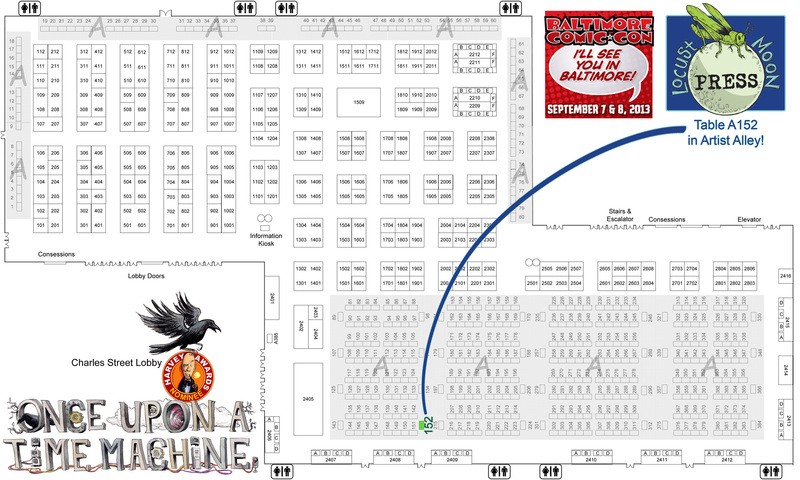 So the Locust Moon crew is bringing Once Upon a Time Machine to our first convention south of the Mason-Dixon! 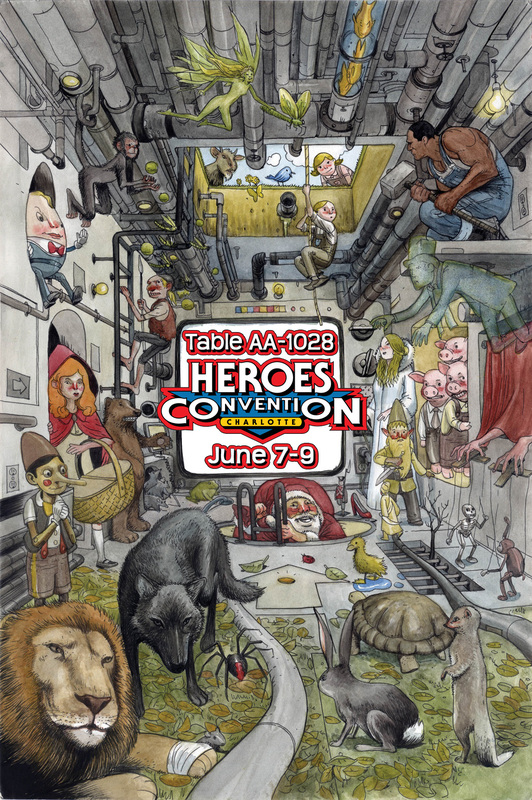 You’ll also be able to see some of our great friends and (in some lucky cases) collaborators down at HeroesCon, such as Drew Moss, Marcio Takara, Rafer Roberts, Chrissie Zullo, Jim Rugg, Jasen Lex, Ben Marra, Ed Piskor, Tom Scioli, Van Jensen, Bryan J.L. Glass, Conor McCreery, Jeremy Bastian, Andy Belanger, Becky Cloonan…and about a million other people. This is gonna be a big’un. And speaking as fans ourselves for a moment, we couldn’t be more excited to meet the legendary & brilliant Don Rosa!